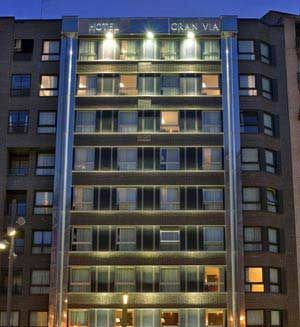 Gran Via Rey Jjuan Carlos I, 71, 26005 LogroÑo, Spanje. 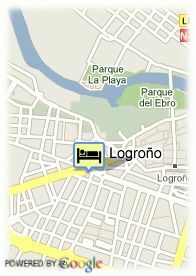 Hotel in downtown Logroño. Urban four star hotel located in Logroño city centre, in the middle of the Camino de Santiago and the Wine Route of La Rioja. At just a few minutes walking from the old town, La Redondo Cathedral and a myriad of shops, leisure centres and restaurants. Hotel Gran Vía is very well connected with the main means of transport. The hotel has a car park at the guests´ disposal. The train station is at 1,5 kilometre while the Fair Trade Centre is a 7 kilometres. The hotel´s 83 rooms are very luminous and are decorated meticulously with warm colours and materials that provide with a home feel. Voor babybedjes wordt 11.77 € per extra babybedje aangerekend.